From frosty pastels to deep jewel tones and easy neutrals, denim is no longer confined to been-there-done-that shades of blue. Adding a little color to your denim arsenal is the perfect way to breathe new life into your favorite ensembles. How do you know what goes with what color-wise? We’ve got all the details! Here’s how to wear your colored denim. Remember the color wheel? This simple tool is helpful to navigate color pairings like a pro by dividing them into categories of warm and cool tones. If you added bold, red skinny jeans to your wardrobe you’ll be wise to pair them with other warm tones like earthy browns and olive greens. You can also contrast warm colors with cool tones—particularly super-versatile staples like chambray button-downs or classic denim jackets. Has your office has embraced new ways to wear workwear? 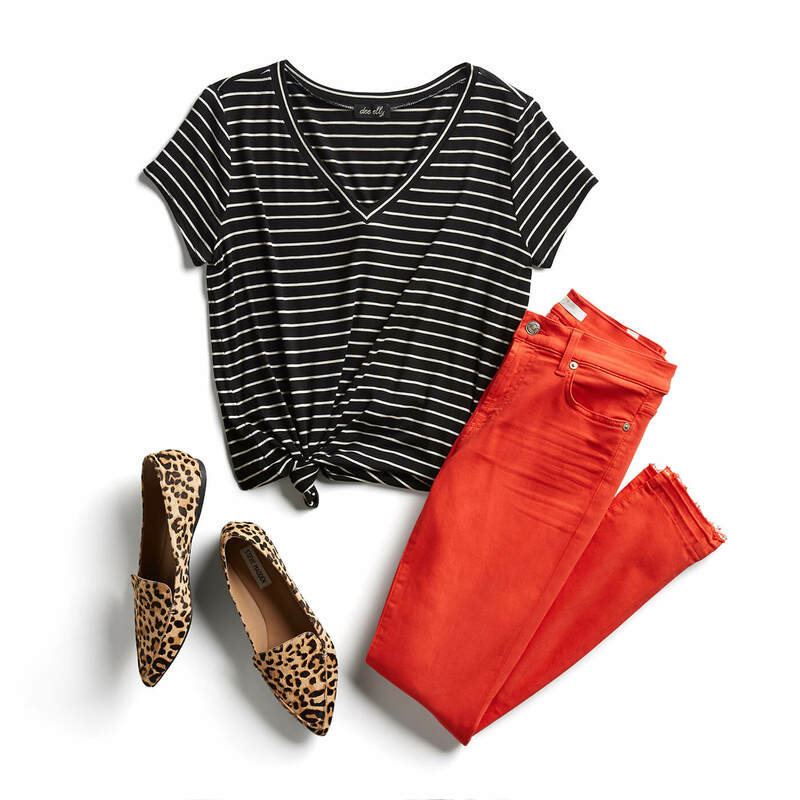 If so, say yes to colored denim from 9-to-5. If you’re hesitant, neutral shades make a great stepping stone to this trend and help ensure your palette isn’t overly bold. Try a softer shade of nudes (toffee brown, cream or slate grey) with a crisp, white button-down and a classic blazer. When the weekend arrives it’s time to be adventurous with your bold bottoms. Whether you’re brunching with friends or packing up for a weekend away, there’s no better time to change your color palette and slip into colored jeans. Whisper light pastel shades are having a moment right now and ultraviolet lilac is the confirmed it-color for the year. 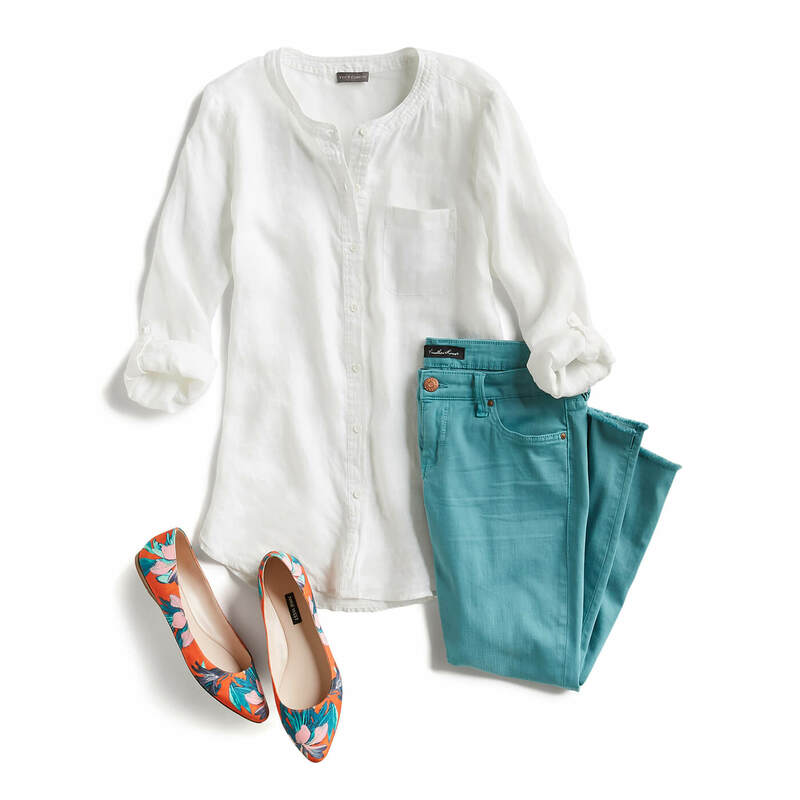 Lean into this lighter side by pairing colored denim with bohemian blouses and butter soft broken-in tees. Slip-on sneakers in luxe leather or feminine embroidering and be ready for anything your weekend has in store. With a rainbow of shades and colors at the ready, there’s no need to hesitate when it comes to dyed denim. Slip on your favorite color and let the mood move you! How are you planning on wearing colored denim? Tell us in the comments!